The ATEQ VT15 is used in garages and repair bays all over the world. Its ease of usage and simple, two-button design makes it widely popular among car enthusiasts and mechanics. The VT15 is compatible with specific Cadillac, Ford, Lincoln, and Mercury vehicles. Not sure how to operate your VT15 trigger tool? We’ve got you covered. TPMS activation is made easy with the VT15 and really only involves placing the tool on the sidewall near the sensor and hitting some buttons. If you’re looking to purchase an ATEQ VT15 for your garage, please click here. TRW Cognitive Safety Systems devotes itself to vehicle safety and strives to make the road a better place for people across the globe. TRW boasts 100 prideful years of safety innovations and continues to invent and improve on already existing safety technologies. How does any of this relate to you? More than 40 major vehicle manufacturers are supplied by TRW. The airbags, seatbelts, steering wheel, and tire pressure monitoring sensors in your vehicle are probably manufactured by TRW. TPMSDirect – Your #1 source for all of your TPMS needs. Continental is a globally recognized automotive supplier. The company has innovated and released technology that has altered the landscape of the automotive world. Run-flat tires, puncture sealants, and tire pressure control systems are only a few of the game changing innovations that Continental has incorporated in vehicles of all shapes, sizes, and uses. 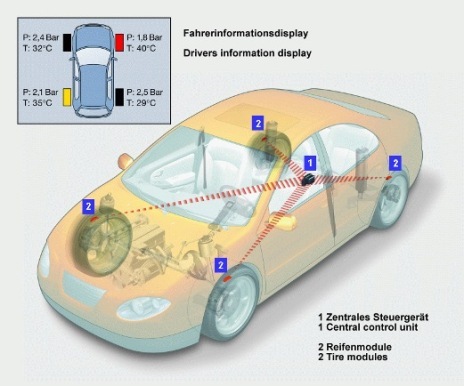 Millions of vehicles across the globe use some type of tire pressure monitoring system. Continental has released its own versions of the system: Intelligent Tire System (ITS), Tire Pressure Monitoring System (TPMS), and Deflation Detection System (DDS). To learn more about the ITS, TPMS, and DDS tire pressure control systems, please click here. This year’s International Tire Exhibition and Conference being held in Cleveland, Ohio, will feature two panel discussions on consumer and commercial vehicle TPMS. Experts from various TPMS technology, tire, and transportation companies, will get together to discuss multiple topics pertaining to tire pressure monitoring systems. And, don’t forget to email us with any TPMS related questions. Our experts will be more than happy to help you out. 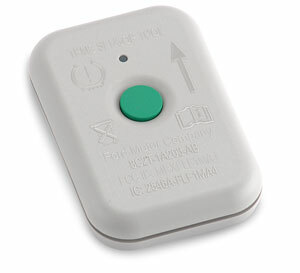 TPMSDirect strongly recommends the ATEQ VT15 Two Button Universal TPMS Trigger Tool for all vehicle repair bays. Its ease of usage and wide compatibility make it an essential for repair shops and car enthusiasts alike. 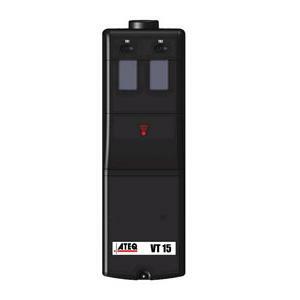 Learn more about the ATEQ VT15 here. Looking to purchase an ATEQ VT15 for yourself or your business? Look no further. You can purchase the ATEQ VT15 here. Fall and Winter are approaching and many people are getting ready to change over to their winter wheel and tire assemblies. TPMSDirect strongly recommends that your winter wheel and tire set should have its own set of tire pressure monitoring sensors. Why? It’s cheaper and makes the changeover process much easier. If you’re looking for a set of TPMS sensors for your winter wheel and tire build, check out our website and browse through our selection of original equipment tire pressure monitoring sensors for all makes, years, and models. Questions? Need TPMS help? Shoot us an email at customer.service@tpmsdirect.com and we’ll be more than happy to assist you.